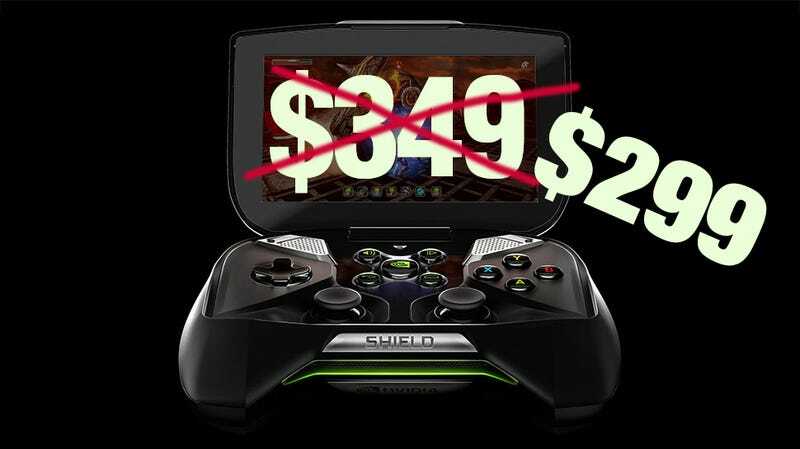 Last month Nvidia's Project Shield Android handheld got a shortened name, a release window of June, and a $349 price tag. With June quickly coming to a close, the Shield is coming in hot on June 27, with $50 knocked off the price to sweeten the deal. Customers who've already preordered the Tegra 4-powered, PC game streaming handheld will be charged the $299 price when their Shield ships. Those who waited to order one have missed out on suddenly having an extra $50 to screw around with. Is the Shield worth $299? I do not know. At this point I've only seen pictures and watched videos of Randy Pitchford singing. I have my preconceived notions, but they are ripe for shattering. If you're on the fence, I'm sure they'll be plenty of fresh opinions floating around come next week.